Last September, nearly 17,000 litres of illicit liquor was seized and 60 bootleggers held in 48 hours during raids. Over 25,000 litre of illicit liquor was seized from a godown in Greater Noida on Saturday and 10 people were arrested by the Gautam Buddh Nagar police in one of the biggest crackdowns on illegal alcohol trade in Uttar Pradesh, officials said. A massive operation was launched this evening in the raid at the godown near Chhapraula village where three trucks full of illicit liquor, along with an empty truck, were impounded, Senior Superintendent of Police (SSP) Vaibhav Krishna said. "As much as 25,500 litres of rectified spirit (ethanol, 60 per cent concentration) has been seized from the godown, under the Badalpur police station area. Ten people have been arrested," the SSP said. 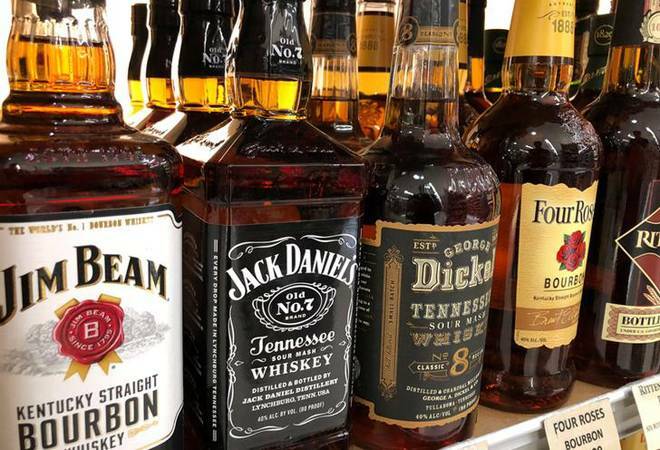 He said the primary interrogation has revealed that the illicit liquor was being supplied from Punjab, and after brief storage, in this area, it was smuggled to different parts of Uttar Pradesh. "It may be one of the biggest recoveries in the state," Krishna said. Superintendent of Police (Rural) Vineet Jaiswal said the godown worked as a base for the liquor traffickers. The illicit liquor was being brought here from outside and then transported to places like Azamgarh, Kannauj, Jhansi and other regions in the state. Last September, nearly 17,000 litres of illicit liquor was seized and 60 bootleggers held in 48 hours during raids by the Gautam Buddh Nagar Police under a special operation to check the menace.